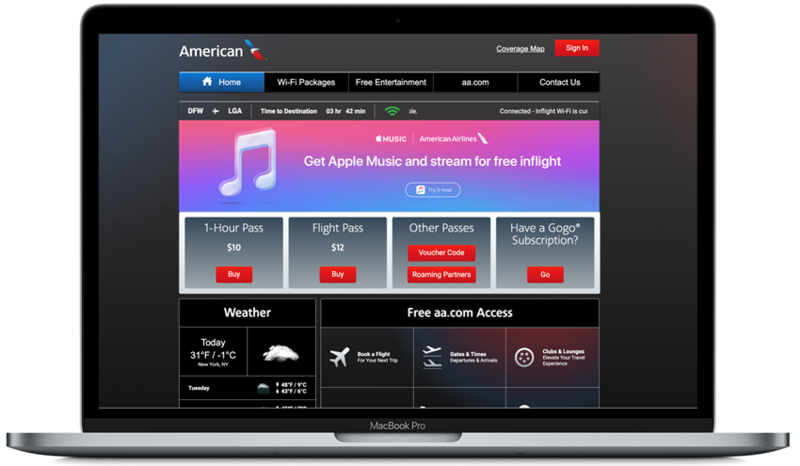 Newsroom - Music to Your Ears: American Airlines Customers Can Access Apple Music for Free in Flight - American Airlines Group, Inc.
FORT WORTH, Texas — Entertainment on American Airlines is getting even better. Starting Friday, American Airlines customers will have access to Apple Music to stream more than 50 million songs, playlists and music videos on any domestic flight equipped with Viasat satellite Wi-Fi. American is the first commercial airline to provide exclusive access to Apple Music through complimentary inflight Wi-Fi access.